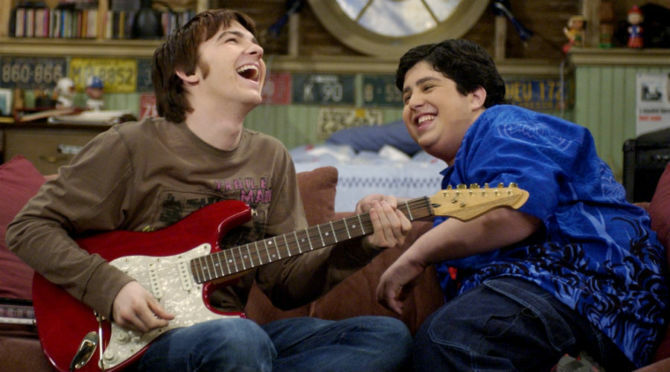 Drake and Josh always had differences. That’s what made the show so great. But recently, in adulthood, Drake Bell and Josh Peck had a misunderstanding that couldn’t be solved without resorting to some pretty petty social media playground tactics. In now deleted tweets, Bell shared some harsh words after realising he hadn’t been invited to Peck’s wedding – when even John Stamos got the nod, FYI. Loyalty is key. ALWAYS remember where you came from [sic]. But, just like a great 90s sitcom, it seems a resolution is on the horizon after a little bit of light-hearted soul searching from the offending party. Bell even went as far as saying he wouldn’t be opposed to a Drake & Josh reunion, ‘if it was done right’. It sounds like they’re one nostalgic narrative arc away from the brothas coming back!